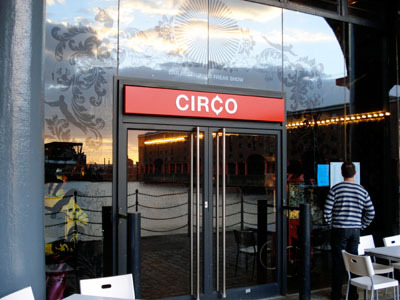 Circo is located in the center of Liverpool, on the waterfront in one of the world heritage buildings of albert dock. The restaurant has a very interesting freak show decor. 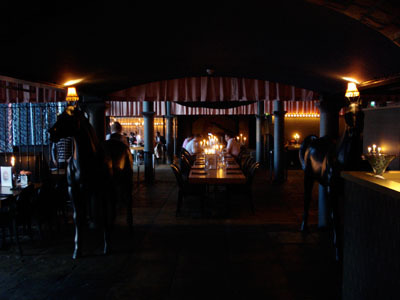 With the help of numerous candles and strange light fixtures, the athmosphere is quite sureal. The restaurant is comfortable but you can feel that priority has been given to the design. The service was very good but a bit slow. Our two waitress made genuine efforts to please us. I started with the wild mushroom rarebit. 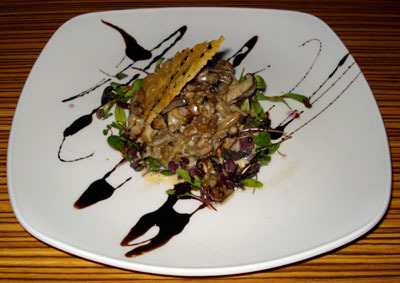 The creamy mushrooms were served on a toasted cheese crostini, with a crusty cheese piece. While it was very good, it would have been better with a bit more salt on the mushrooms. As main course, I had the duck pastrami. 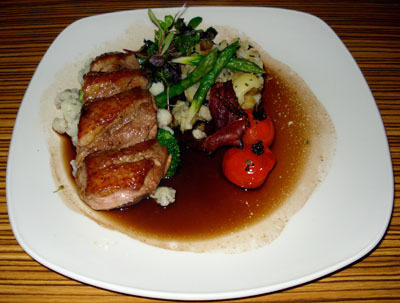 The duck breast, pan seared, was truly excellent and well complemented by the Cointreau glaze. The pastrami crisp and the vegetable were very good. I would add a special mention to the tomato that were perfect. 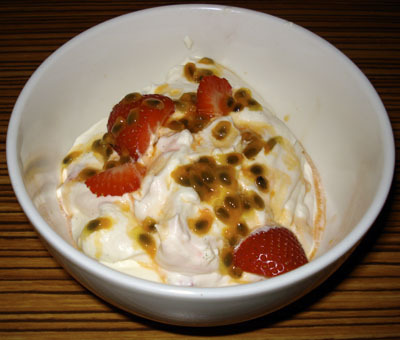 For dessert, I had the Eton mess, composed of crushed meringue, strawberries, lightly wiped vanilla flavored cream and covered with passion seed. While the presentation is somewhat ordinary it was really good. I will certainly try to reproduce that at home. Around $85, including drinks (mineral water, a bottle of red wine shared between the 2 of us and coffee) and tip. 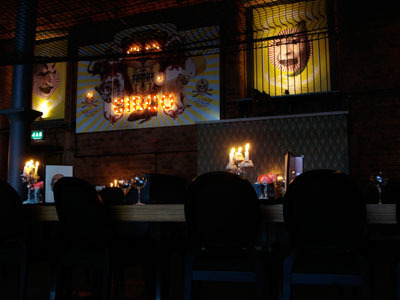 Considering the restaurant, the food and the current exchange rate (close to 2 dollars for 1 pound at the moment), Circo definitely offers good value for money. I will come back.